SEE ALSO THE JOHANNESBURG FESTIVITIES THE Cape Town Jewish community celebrated Israel’s 60th anniversary in a long week of events in which Netzer was proud to play an important role.The week began with moving Yom-Hasho’ah and Yom Hazikaron ceremonies, followed by a huge Yom Haâ€™atzmaut ceremony, together with the entire Jewish community, at the Ratanga Junction Theme Park. 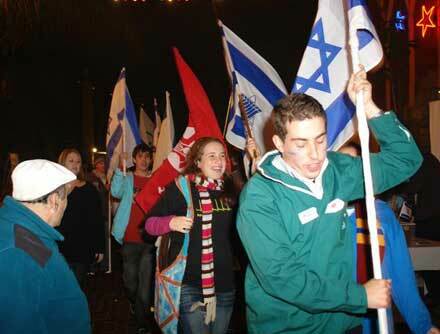 The Netzer team wore their new green shirts, and carried their blue flags. 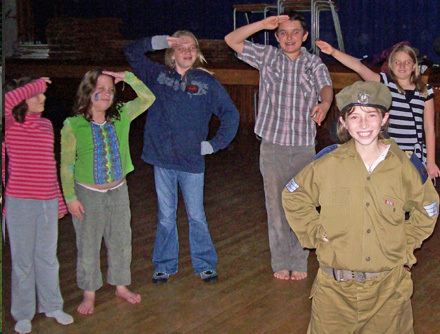 They sold curry & rice at their Netzer stall, marched inside the venue with their flags and with great “ruach”, and even went on stage to perform a memorable dance number. 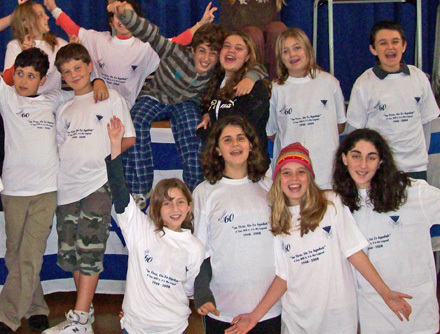 And that’s not all: less than 24 hours later, the movement held a special “Yom Ha’atzmaut Ceremony” in the Green Point shul for the entire community, followed by an “Israel@60” sleepover at the Wynberg shul.